Work for McAfee Web Protection? Learning about McAfee Web Protection? "Prevention is the best Security"
I like the symbol that floats up and down on the bottom right hand of the page. I like that it is big at first then shrinks so it is eye catching and they can start their experience knowing their information is protected. I think they are all about the same except some have a reputation to protect. I think this company is heading into the right direction. I do internet sales, so I am already considered a risk. With all of the internet scammers and stealing that goes on, I need something that people can recognize by site. They know I am a professional company that cares about their information. "Mcafee is a good option if it's your only option.."
It provides protection for almost everything. 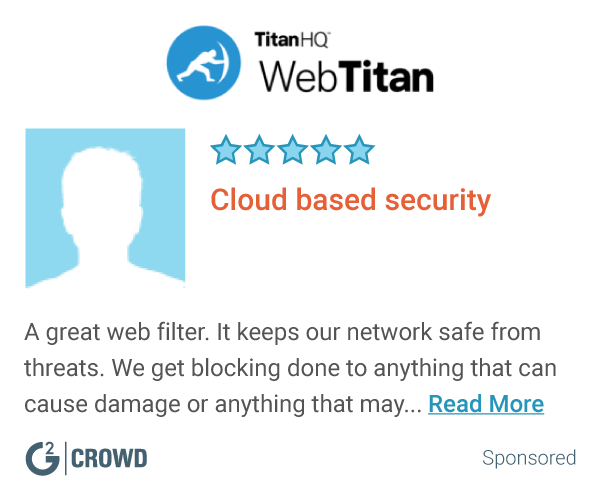 This includes email protection, malware, spyware, ddosing, botting, website filtering, spam filtering, and much more.It has a complete package and warns you about almost any vulnerabilities it finds and gives you options. It doesnt seem to use that much resources on the computer and the difference in speed before and after installing is minimal. It's like a controlling stepfather of programs. It interrupts a lot of things you try to do, seem nosey, and I can guarantee it's collecting a bunch of information. It blocks sites that aren't even on the block list sometimes and straight out denies access to sites it feels are 'vulnerable' when you know they aren't. You can't disable the protection easily, either. When you try to, it still runs in the background. You have to manually remove it in system processes. Seems very demanding. Unfortunately there are not any better options for a big B2B Enterprise needing protection. There aren't many other options for big businesses. This provides and all in one suite of protection. It has it's cons but it also does the job and is reliable. Safety of our users. We have very confidential information in and within all our computer and applications. We needed an all in one security endpoint and we use the Web protection along with the endpoint encryption to do this. "Real-time control of the security of the company's extranet"
For years I have been working with this company and the truth is that except for some setbacks of lost files, the overall assessment is positive. All the tools available to the company and the possible threats are controlled in real time.What I like most about this product are the neutralization of current threats and the actaulizations that occur quickly and efficiently. The speed of the resolution of them from my point of view is one of the best options available in the market today. As advice for potential clients I would say that it is one of the best options in the market. If you value the safety of your company and especially time is a very good product. One of the main solutions that this tool generates in our company is the amount of time and money that saves us and the security we have when working every day. Ease of purchasing , offers through purchases of computer equipment and other software. It leaves out the need to search for a security suite which is helpful if one is not familiar with that need. I experienced viruses and trojan issues several times which prompted me to move to another suite. It was costly to get repaired. I had to take my PC to Best Buy for repairs and recovery on 3 occasions which I do not feel is adequate coverage for such a renowned company. I recommend Webroot. This has been my protection for all my devices for years and have had not issues so far. I had complete shut down of my computer due to attacks, more than once. Really easy to use, prompted every step of the way when setting up. Notifications sent regularly so you know it’s there but not so much that it’s annoying. Blocking all viruses. Not slowing the computer down or programmes. No concerns. Feel safe searching the web without it taking away useful websites. E.g. when searching for research papers, some virus protection block these sites as not many people use them but of course they are fine. This protection allows common sense!! It is expensive for long term use and if you are near renewing you get a lot of annoying messages popping up. If you do cancel it you struggle to get it off your computer. Protects a lot of my customers and patients info as well as my computer system which I heavily rely on. "Fair product but good protection"
I enjoy their McAfee console which has a variety of different easy to understand the data and have a good sense of how your network is working. It is a very informative product.. This program provides great protection for the whole team, preventing viruses and other malicious problems on your computer. Price. Also, there are too many unnecessary navigation items. It would be nice if I could navigate to a specific part of the interface without having to load a new page every click. "McAfee Web Protection User Review"
Despite a few shortcomings, McAfee Web Protection provides good security within our organisation, is easy to install and doesn't seem to slow our PCs. I like that this program will scan independently depending on when you select. Very convenient and makes me feel like my data and computer is secure. I sometimes feel like the scan does not pick up all possible threats or bugs that my computer may have. Sometimes i feel like i have an active virus but it does not seem to identify it and it will take me multiple scans for this system to find it. continue to improve detection of bugs, viruses and threats to computer security and safety. Make sure that even small viruses are being identified and find ways to eliminate them immediately. "Good software to save you from virus "
- not much to dislike really however the user interface can be made better for users to navigate and use it. Use it for better protection. Doesn't slow your system down like other providers of security software. That I don't really notice that its there. It does all its work in the background and doesn't seem to slow down the computer at all. Granted I am an engineer with a fairly powerful computer used for drafting and design work but even with all of those programs running, never had any issues with this software. Use it to protect our systems from outside attack with an added login before you are even able to access your computer in the morning when you first power up. "Keeps my computer running smoothly." i like that is scans my computer every week for harmful viruses. Sometimes scanning takes longer that I would like. Give McAfee a try, they have multiple trial options so that you can try without having to pay at first. If you don't like it, you can always cancel. I definitely recommend. Allows us to keep harmful viruses off of our computers, warns me about any harmful data before downloading it. Let's me know if anything needs to be updated or changed. i would like to prefer to customer who are looking for protecting their endpoint machine through threat protection. "Unfortunate pre-installed bloatware on our laptops"
The best part of this is being able to uninstall it. The worst part of this is having to uninstall it, and it literally begs you multiple times not to. I do not recommend paying for any renewed subscription. We purchase new laptops from Toshiba and Lenovo and this comes pre-installed. It often slows things down and prevents some things from working correctly. "McAfee has come a long way but..."
I dislike that it is almost impossible to remove the software. It's almost like its hardwired into the pc! It is difficult to reach live tech support for removal of the software after purchase. Perhaps McAfee has corrected this issue for new installs. We were solving scans of employee computers to prevent viruses. It keeps up to date on the most recent new protection services that were added and enables my computer to run quickly without any bugs. Not noticeable in the background and doesn't bother me in my day to day work with messages regarding pop-ups for ads. Sometimes gives updates that may not be necessary. Best security for the devices from the internet malware. UI is very easy to understand. Cleans up ever virus detected. It do not works for privacy browsing. Scanning is some times very slow. Securing my systems from virus attacks. I think the software pops up way too often in bottom right corner of my screen. "Very good protection like how simple and easy this program is to use and keep updated on the compute"
Oover all its a great system and I do not dislike any part. 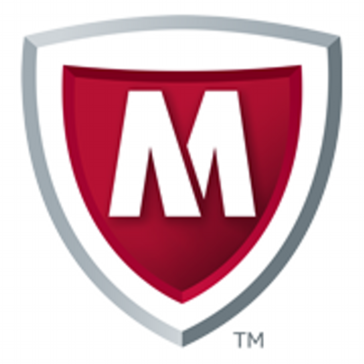 * We monitor all McAfee Web Protection reviews to prevent fraudulent reviews and keep review quality high. We do not post reviews by company employees or direct competitors. Validated reviews require the user to submit a screenshot of the product containing their user ID, in order to verify a user is an actual user of the product. Hi there! Are you looking to implement a solution like McAfee Web Protection?